Book a flight + select Meliá Hotels International vacation packages of four nights or more, and get up to $1,500 in resort coupons to enjoy during your stay. * Use your resort coupons towards experiences not traditionally included in the package such as spa treatments, private romantic dinners, premium wine purchases, room upgrades at time of check-in, and more. Restrictions and exclusions may apply. 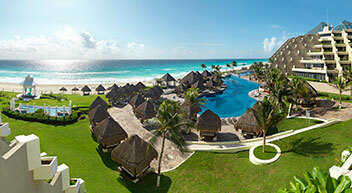 Four or five-night minimum stay required depending on the resort selected. Variety is truly the spice of life. Lucky for you, Meliá Hotels International has a collection of resorts in Mexico and the Caribbean offering a full range of distinctive vacation experiences. 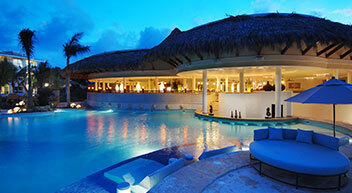 Looking for a luxurious getaway for two or a fun-filled family vacation? 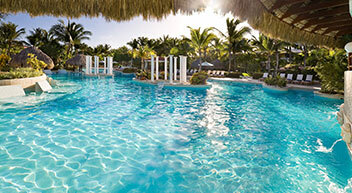 There is a Meliá resort for you. Paradisus Resorts in particular offer a luxurious all-inclusive resort experience, which includes signature cooking by famous international chefs, spectacular YHI Spas, and personalized service to make your dreams come true. *Use your resort coupons towards experiences not traditionally included in the package such as spa treatments, private romantic dinners, premium wine purchases, room upgrades at time of check-in, and more. This offer is combinable with other promotions valid at the time of booking. Resort coupons are valid per room, per stay, and are non-cumulative. The amount of the resort coupons and use may vary length of stay and resort. Resort coupons cannot be changed for cash money. This offer is subject to availability. The hotel reserves the right to discontinue this promo at any time. This offer applies for individual reservations, leisure groups, and weddings. In the event the resort coupons are not used, the leftover balance cannot be used to pay other incidentals or room rate. Paradisus Los Cabos, Paradisus Cancún, Paradisus Playa del Carmen La Perla, or Paradisus Playa del Carmen La Esmeralda: Stay four to six nights and get $550 in resort coupons. Stay seven nights or more and get $1,500 in resort coupons. Four-night minimum stay required. 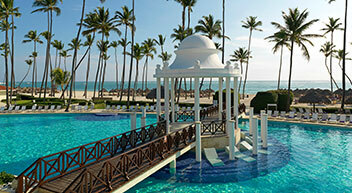 Paradisus Punta Cana Resort, The Reserve at Paradisus Punta Cana, Paradisus Palma Real Resort, The Reserve at Paradisus Palma Real, or The Grand Reserve at Paradisus Palma Real: Stay five nights or more and get $1,000 in resort coupons. Five-night minimum stay required. 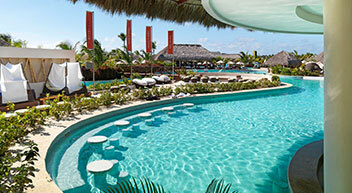 Meliá Punta Cana or Meliá Caribe Tropical: Stay five nights or more and get $900 in resort coupons in The Level room categories or get $600 in resort coupons in all other room categories. Five-night minimum stay required. ^Children 12 and under stay free when staying with adults in the same room. One child free per paying adult, up to two children maximum. ^^One child 12 or under stays free when staying with two paying adult(s) in the same room.